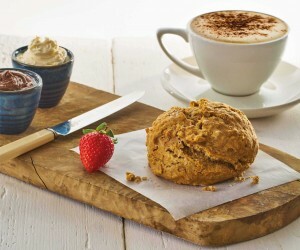 We’re excited to announce we’ll be launching our new Italian Cream Tea as of 7th March! You’ll be able to purchase these at your local Caffe Massarella. Line up! Line up! Get your tickets here.. 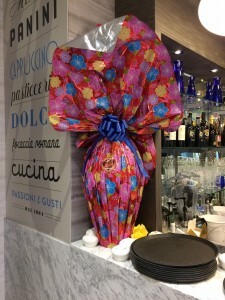 The Caffe Massarella, Meadowhall is having a raffle which will be drawn a week before Easter. Tickets are £1 and the Italian Chocolate Egg weighs a whopping 3.5 KG!! All the proceeds are going to The Rotherham Hospice! 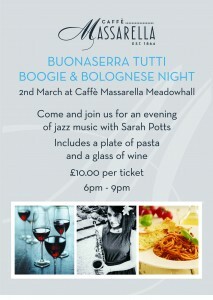 Get your raffle tickets at Caffe Massarella, Meadowhall. 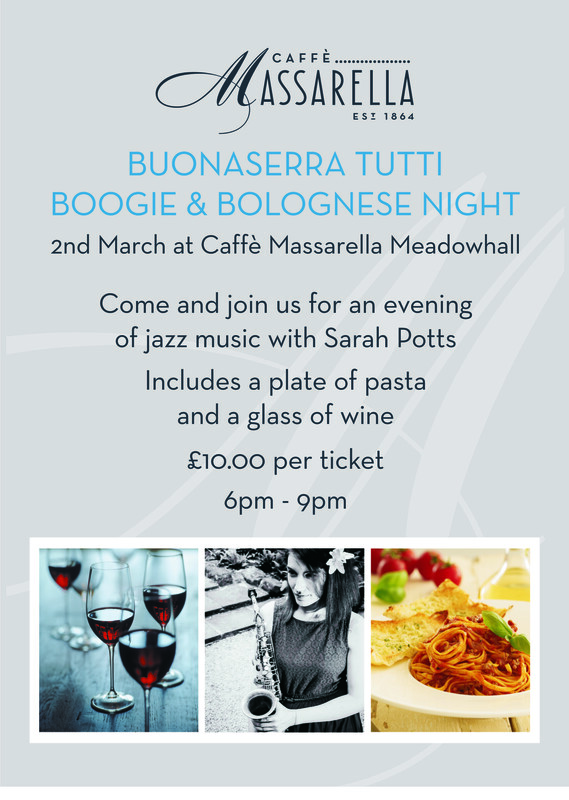 On the 2nd March Caffe Massarella at Meadowhall, Sheffield are hosting a live Jazz night with a plate of pasta and a glass of wine included in your tickets. Sarah Potts will be preforming between 6pm to 9pm and tickets can bought from the restaurant as of now. It’s a night not to be missed.